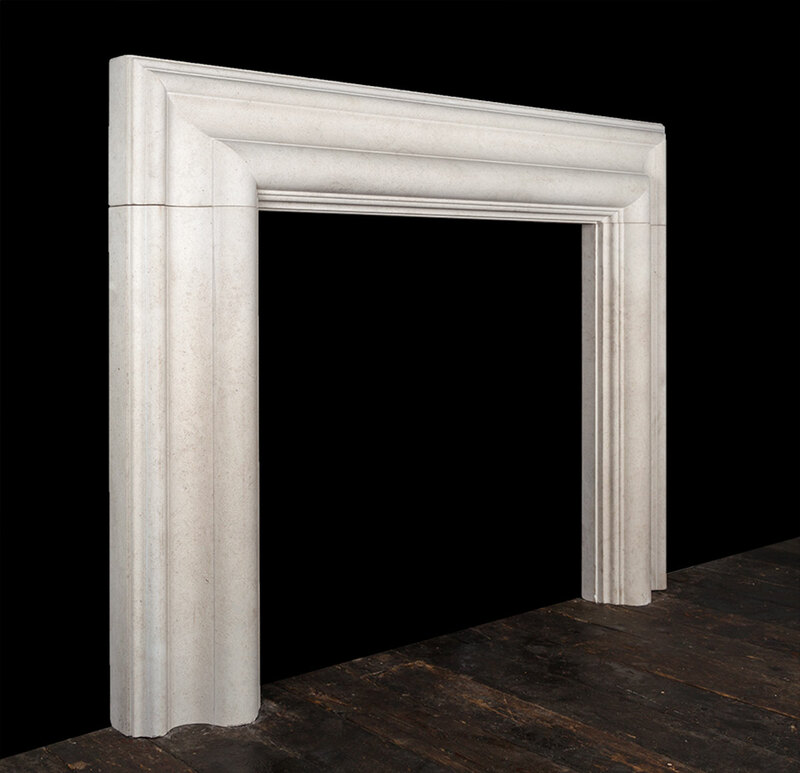 A limestone bolection fireplace of large scale, the frame measuring 12″ (300mm) wide. 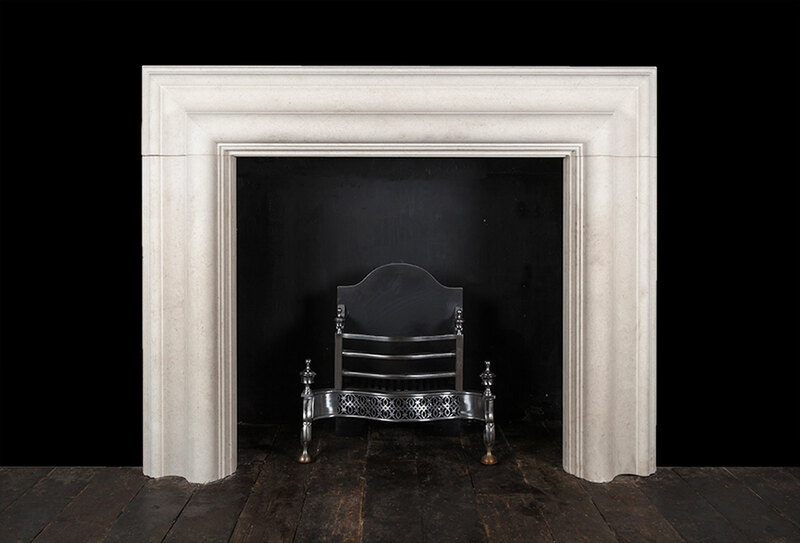 This simple and timeless style of fireplace was used by architect Sir Christopher Wren almost 300 years ago, a design which is still in fashion today. 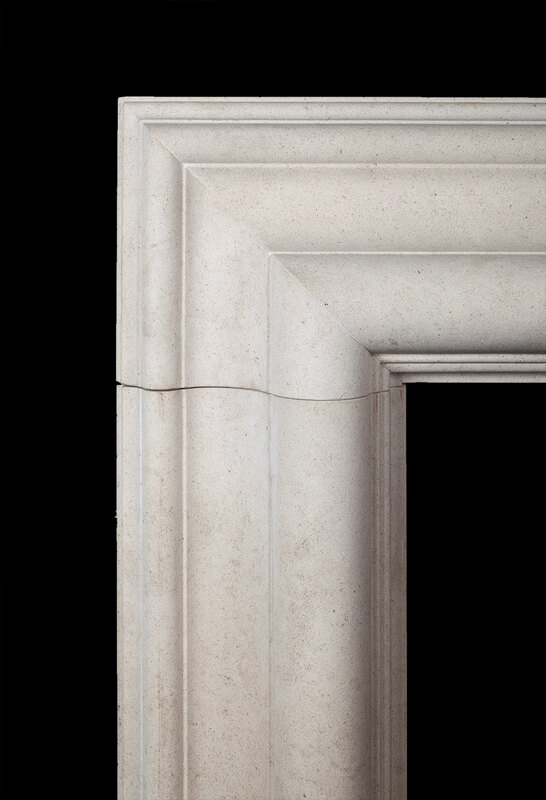 Can be made to size in stone or marble.